Regardless of whether black is considered a mix of all colors, as in a subtractive color mixing, or the absence of any color, as in the light spectrum, its bold hue doesn’t always play well with others, especially when used in mass quantity. 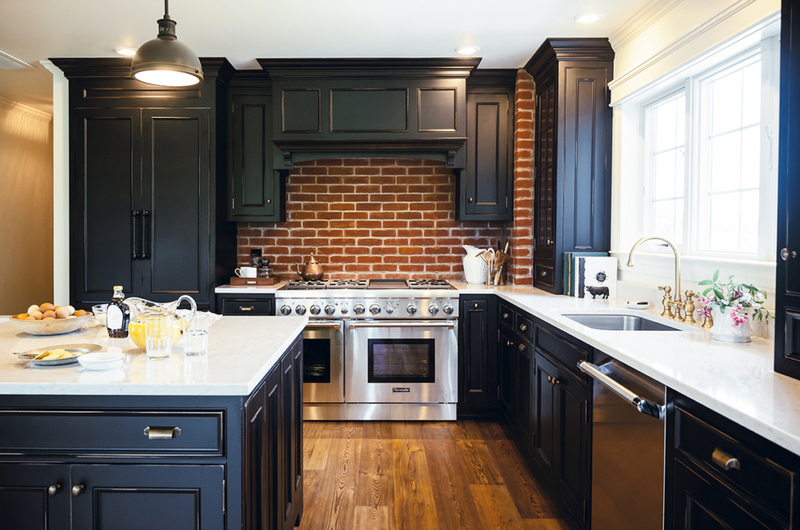 So when Stephanie Holmes’ client approached her with an inspiration photo featuring black cabinetry combined with dark-colored brick, the Oneonta, NY designer and owner of The Working Kitchen knew she had to conduct a balancing act so all of the elements could shine in this new-construction kitchen in nearby Milford. 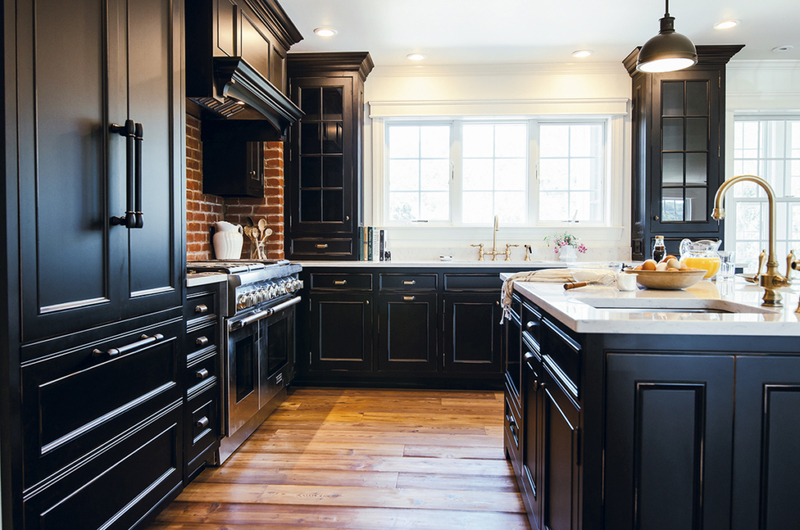 Black cabinetry contrasted with brass hardware adds a bold element to a new-construction kitchen in Milford, NY. 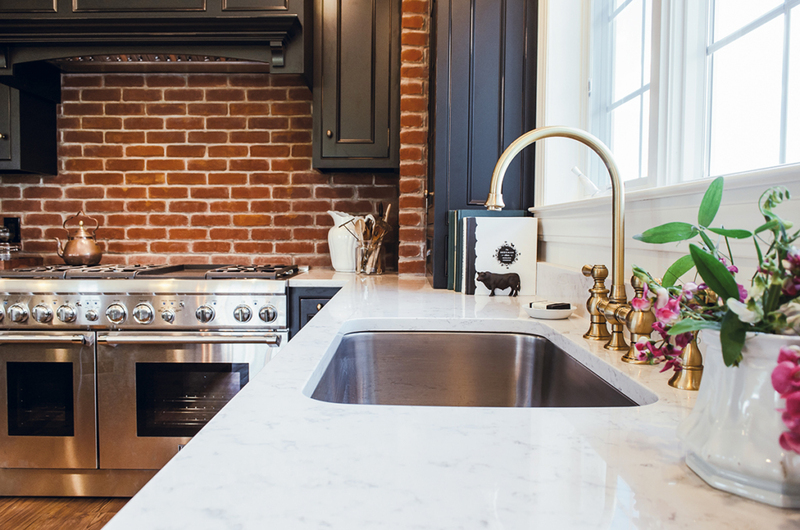 Whitehaus Collection®’s Vintage III Antique Brass faucet and side spray set is impressive in this elegant kitchen layout. 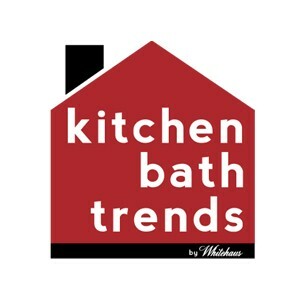 Read Kim Berndtson‘s article Kitchen Blends Light & Dark in Kitchen and Bath Design News, featuring Stephanie Holmes’s kitchen design here.